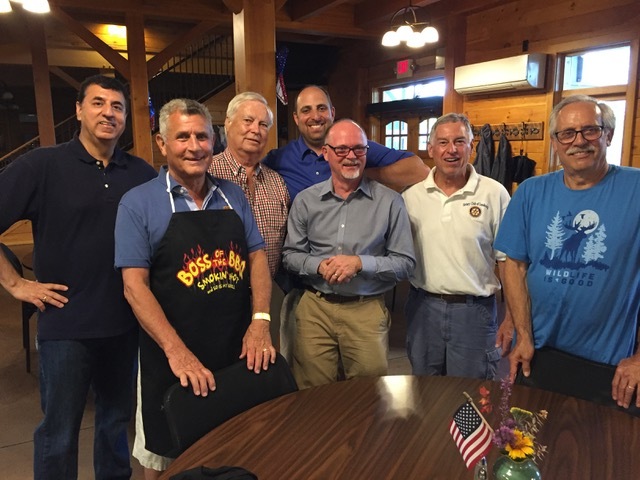 On Friday June 29, 2018, volunteers from the Rotary Club of Leesburg cooked dinner for the Vets and Families staying at boulder crest Retreat in Bluemont, Va. Chef Ernie Carnevale led the team of Raj, Rob, George, Dan, Greg, and Ron in preparing a chicken and salmon dinner. Chef Ernie’s new potato salad recipe was a great item on the menu. We all agreed, it was a wonderful way to end the Community Service year for the Rotary Club of Leesburg. We look forward to continuing to support Boulder Crest Retreat; healing heroes one family at a time.